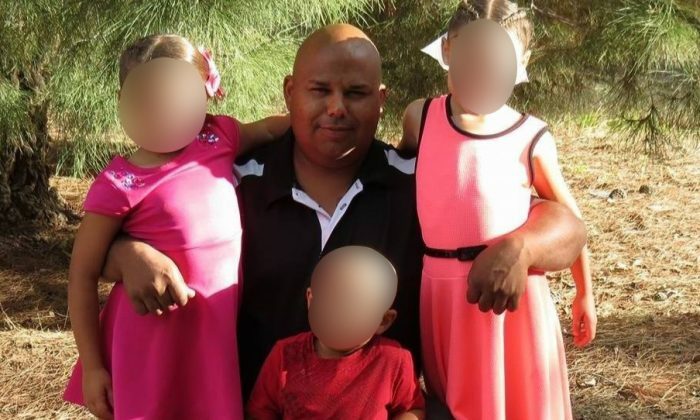 A New Mexico man died while making Christmas gifts on Nov. 11, a GoFundMe page stated. He was electrocuted while apparently using a fractal burning technique. Ryan Leyba, the victim, was making Christmas gifts with his wife by burning wood with electricity when the incident happened, KOB reported. The couple had planned to put epoxy on the wood pieces and present them as gifts to friends and family for Christmas. “Every year we make Christmas presents together. We’ve done magnets, we’ve just done random Christmas presents because there were times we just didn’t have money to buy them for everybody,” his wife Natascha Leyba told KOB. Unfortunately, Ryan’s finger slipped and “hit the metal of the electric circuit,” Natascha said. Ryan left behind three kids, Abby, Riley, and Van. He lived in Gallup, New Mexico. His family hosted a viewing at Fairview Memorial Park on Nov. 19, and a memorial on Nov. 24, in the Sacred Heart Cathedral Family Center. As of Saturday, 39 people had donated over $2,000 to the family via the GoFundMe page, with a goal of $10,000. Natascha didn’t describe in detail what kind of method they employed in making the gift. But it’s possible they were doing fractal burning, also known as Lichtenberg burning. According to a publication (pdf) by the American Association of Woodturners (AAW) in August 2017, Lichtenberg, or “fractal,” burning is an embellishing technique that uses a high-voltage electrical current to produce patterns on wood that resemble lightning flashes. The practice is named after physicist Georg Christoph Lichtenberg, who first documented the technique in 1777. The popularity has grown rapidly among wood burners. On YouTube, many videos of Lichtenberg burning can be found uploaded by wood burners. The AAW noted that the dangers of Lichtenberg burning have not yet been fully understood by wood burners. The Leyba family apparently weren’t aware of the danger either. “They said that the electricity just went from finger to finger,” Natascha told KOB. “Electrocution happens when high-voltage electricity enters through any part of the body, passes across the heart, and then exits the body,” the AAW said. At least two people have died “apparently as a result of doing Lichtenberg burning,” AAW added in the publication. The AAW Board adopted a ban against the practice on May 17, 2017, based on the dangers of Lichtenberg burning.